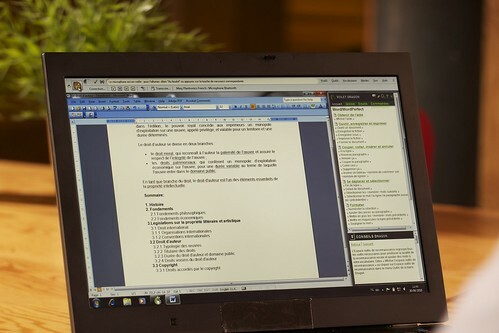 The difficulty of typing on smartphone touchscreens is driving a resurgence of interest in voice recognition but desktop dictation and control has never really taken off, even though a reasonable version has been built into Windows for several years. 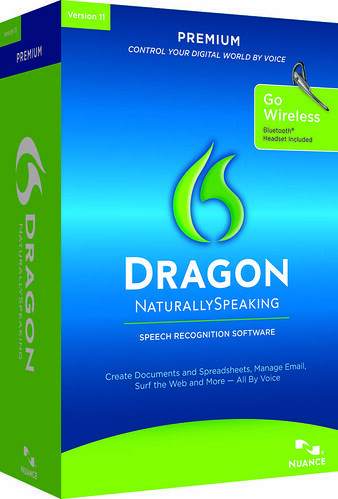 Nuance hopes Dragon NaturallySpeaking Version 11 will get us talking to our PCs rather than shouting at them, with a 15% improvement in accuracy and voice shortcuts to make it less tedious to control your PC by talking to it. The new version also improves accuracy by hiding the results box that used to tell you what it thinks you're saying. Voice recognition software is tuned to work on natural speech at normal speeds, rather than the slightly robotic and artificially slow speech patterns many of us adopt when we're talking to a computer. Nuance found that many users were pausing in the middle of sentences to see if Naturally Speaking was getting things right, which gives the program less of the context of the sentence to work with and means it gets more wrong, especially with words that sound similar but are spelled differently. The indicator that the software is working is smaller and the results window is off by default, but words appear in your document reasonably fast. Despite the improvements, Naturally Speaking doesn't recognise everything perfectly and although the setup takes only four or five minutes, it does learn your voice profile so you can't use it for speaker-independent recognition tasks like transcribing recordings from meetings. Naturally Speaking 11 has a simpler interface and a handy tips sidebar; it's also available in multiple languages. It's easier to dictate corrections, especially of things you've said multiple times in a document. You can say things like 'correct', 'capitalise' or 'bold' followed by the word or phrase; if the word is only in the document once it changes immediately but if there are multiple matches they're numbered and you can say which you want. The previous version would only correct the most recent occurrence. You can also add new words to the dictionary or remove recognitions you don't want - if the software always suggests the wrong spelling for your boss's name (or your husband's) you can block that spelling variation. If you find it faster to dictate what you want to write and then go back to the keyboard to make corrections, those changes will now be used to improve recognition next time (previously only made by dictating were used for the voice profile). The built-invoice commands cover common tasks in Office (including Outlook, Word and Excel 2010), Gmail and Google Docs as well as the browser so you can say "add up that row" to get a total in a Word table or search specific Web sites including Amazon, Bing, MySpace, Twitter and the Nuance help site for keywords. Specific commands for Outlook let you create a meeting or a task and file a message in a folder. There are shortcuts for opening the control panel or desktop and navigating through open windows (though if you have several Word documents open you'll have to specify Word and then the number of the window you want from an on-screen list). You can create your own commands, for tasks like switching which signature to use in an email. The main problem with clever things like voice shortcuts and correction tools is forgetting that they're there or what you have to say to get them. The new Sidebar helps with that by giving you a list of commands and tips for the application you're working with, although it's not context sensitive enough know what tools you're using in the application so you don't get specifically relevant suggestions. Naturally Speaking can recognise recording in .WAV files and the .DSS formats used by some voice recorders; it doesn't work with .AMR files. Nuance claims this is because the format doesn't have a high enough resolution but high licencing costs may also be an issue. Recording a profile for a recorder is much faster now (Nuance says it will take around four minutes rather than 15) and you can get a version of the software that comes with a recorder. The Home version of NaturallySpeaking Version 11 costs £80 for standard dictation and command and control features; if you want to use a voice recorder or PDA you need the £199 Premium version, which also lets you use a Bluetooth headset and includes voice commands. If several people within a company are using Naturally speaking, the £549 Professional version lets you maintain profiles for multiple users and manage those centrally so they're available on multiple PCs, instead of just one.